Happy Friday!! Welcome to an all new Friday Finds! I'm excited about today's featured shops..okay, I'm always excited about the featured shops. 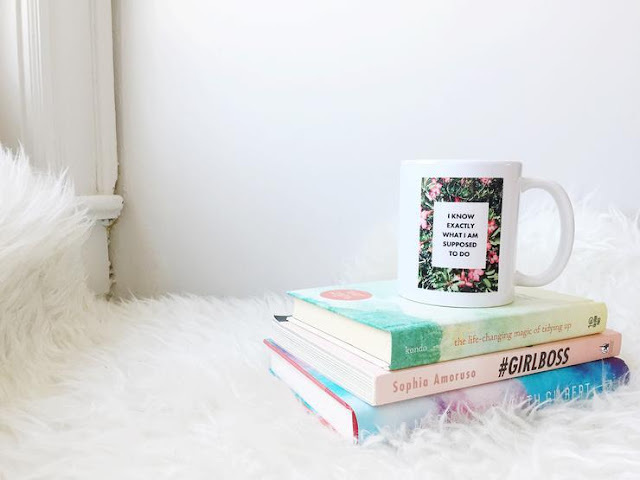 Today we've got a variety of some great Mother's Day gift ideas, as well as some beautiful home decor, and some great products for my fellow influencers and small business owners! Let's start with a little something for all the boss babes. When I first saw Yay! 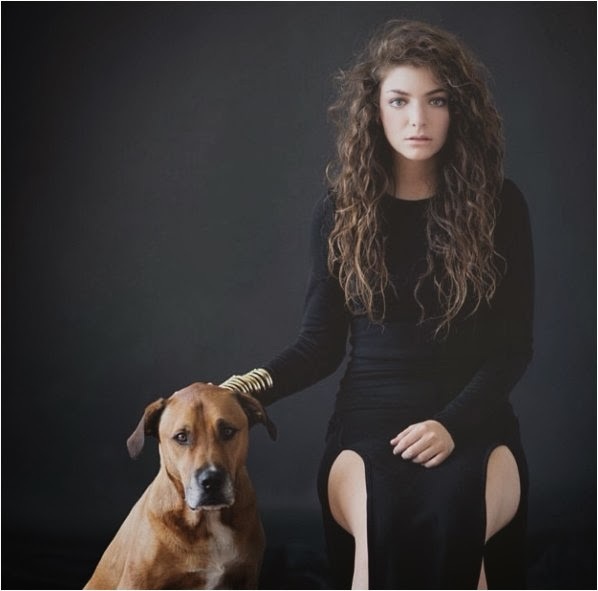 Brand on Instagram, I knew it would be perfect for you guys. It's a chic and modern brand with some inspiration and depth to it. And as you can see, they sell super cute inspirational mugs! The mission at Yay! Brand is to help people who are on a path of deep personal growth to ground themselves in intention on a daily basis. I love how Yay! 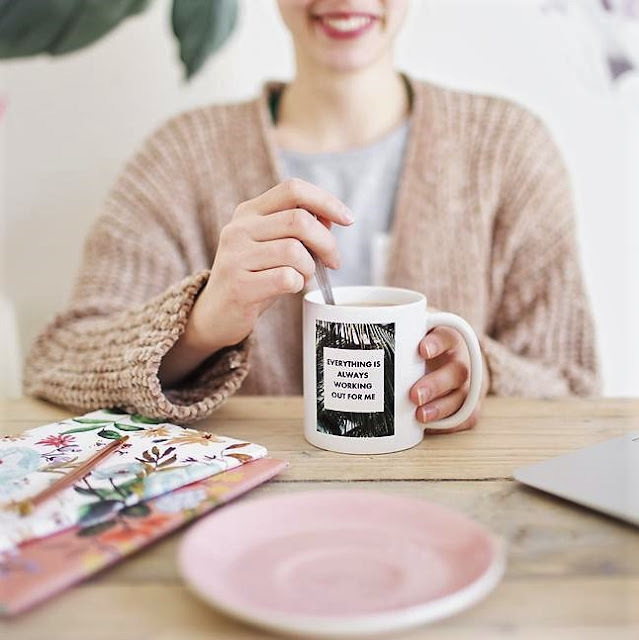 Brand combines beautiful botanical prints with these inspirational and affirming quotes to create some very Instagram-worthy mugs. I think my favorites are the Enough Mug and the Exactly Mug. Check out all of the designs on their site, and use YAYLAUNCH15 to get 15% off your order at checkout! This next shop is a great place to find a Mother's Day gift or something luxurious for yourself. 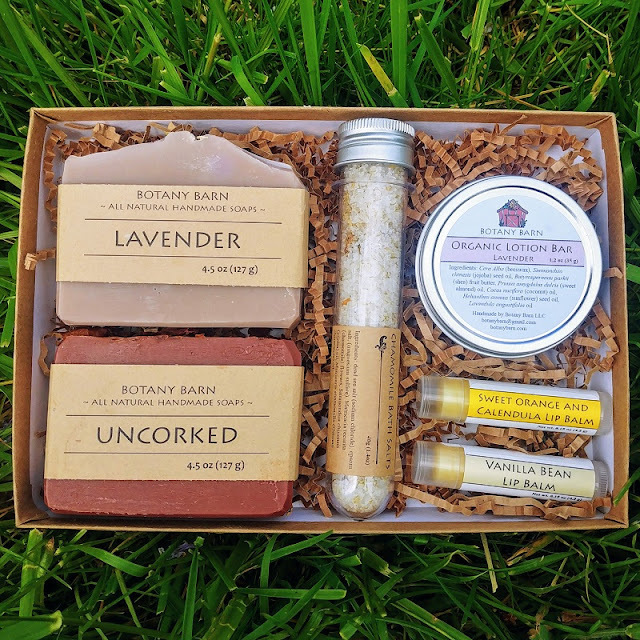 Botany Barn carries all-natural organic soaps, lotion bars, bath salts, and lip balm. I had the pleasure of sampling the Spa Gift Set pictured above, and you can see the full unboxing video here >. 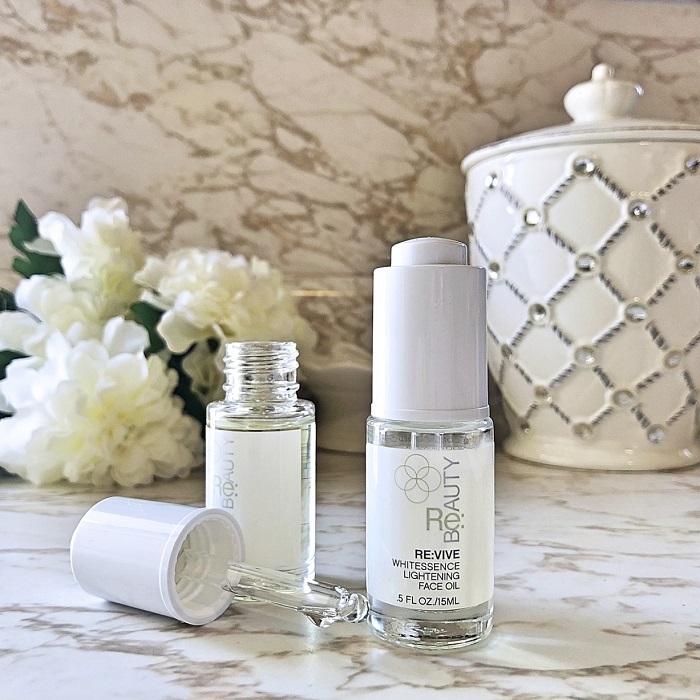 I have been all about using more natural ingredients lately, and Botany Barn has some incredibly moisturizing ingredients, like shea butter and almond oil, in addition to the beneficial herbs like chamomile and lavender. Perhaps my favorite thing is that Botany barn is so #giftworthy. There are several different gift items; like the spa set I mentioned above, a few smaller sets, and the set of four large gift soaps and the Bath Salts Gift Set. 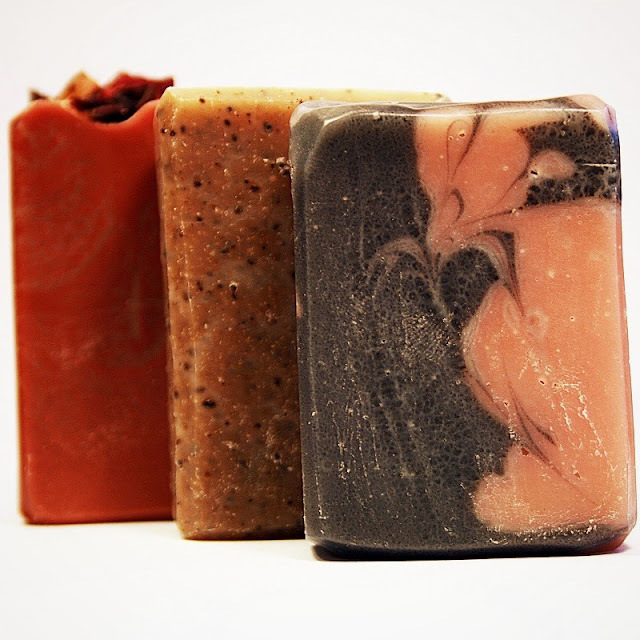 You can get any of these gift wrapped and customized by picking from a variety of scents. With options like Honey Bee, Uncorked, and so many more; you can mix and match to create the perfect gift! If you're still needing to spruce up your home this season, check out Sara Vrooman Designs, where you'll find custom wooden signs and instant downloads for the home. 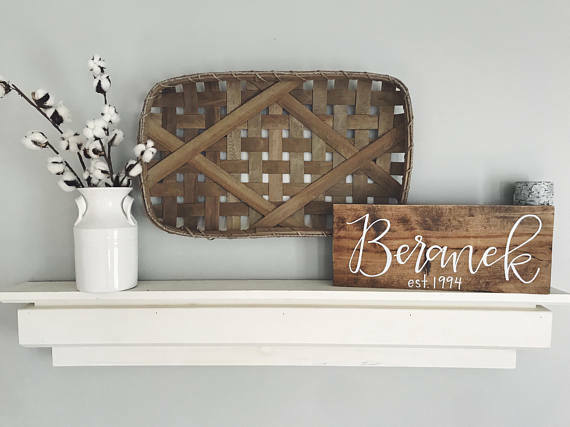 The wooden sign trend isn't going anywhere, and this Last name Wooden Sign goes so well with the modern farmhouse look that is seriously trending this year. 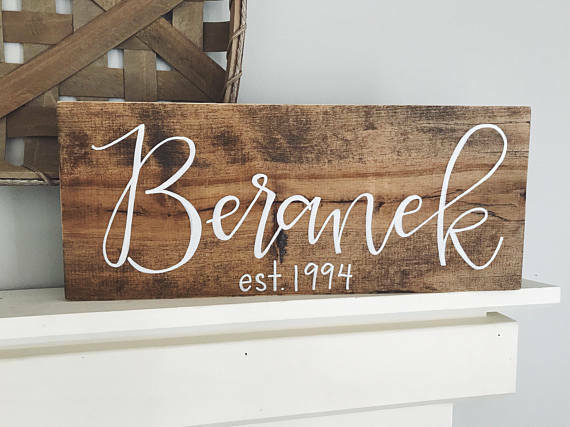 With wedding season coming up, these last name signs also make for a unique, custom gift. The instant downloads are so great for a quick update. You can shop, print, and frame all in one day to instantly update a space. For gift giving, these beautiful Hand-Lettered Journals by Sara Vrooman Designs are perfect for Mother's Day. 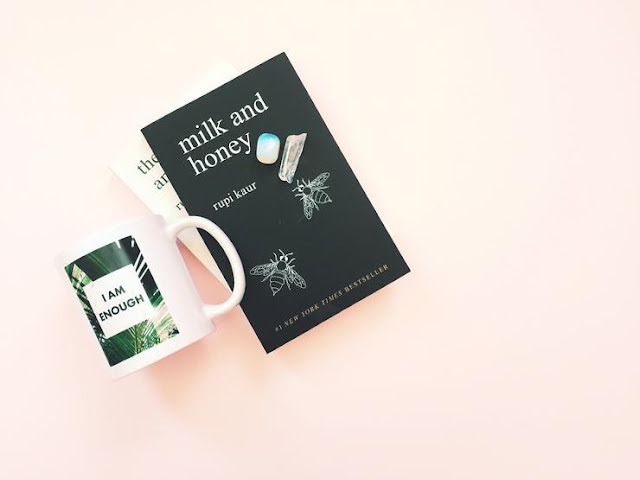 Pair one of them with a pretty mug and some tea for a sweet gift basket. For a relaxing gift, bath bombs are very in this year. I love all of the options at Lathered in Love. They create non-toxic bath products in so many fun scents like Margarita Lime, Bubblegum Bath, and Pink Lemonade. For the kiddos, there are lots of fun scents and designs too. 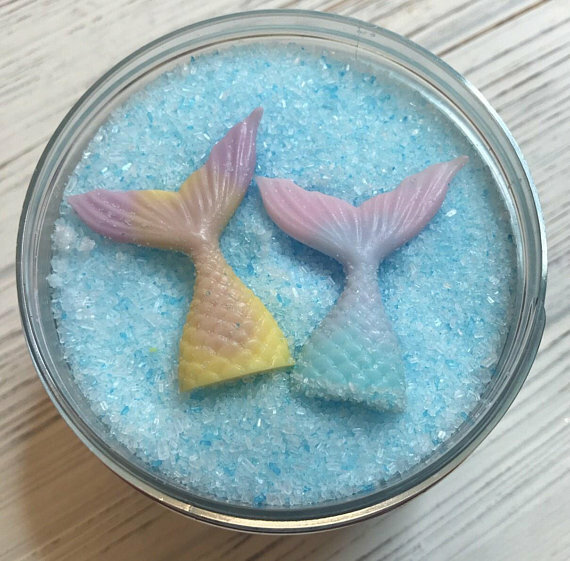 Any kid would love the Birthday Cake or Fairy Dust bath bombs or the mermaid bath soak (pictured above), which let's face it, is great for gals of any age. For gifts and special events, Lathered in Love also carries bath bombs in fun shapes like lips and hearts and several other designs. I love how the ingredients are beneficial as well. For example, you can get bath bombs to help ease tension, headaches, and even congestion. 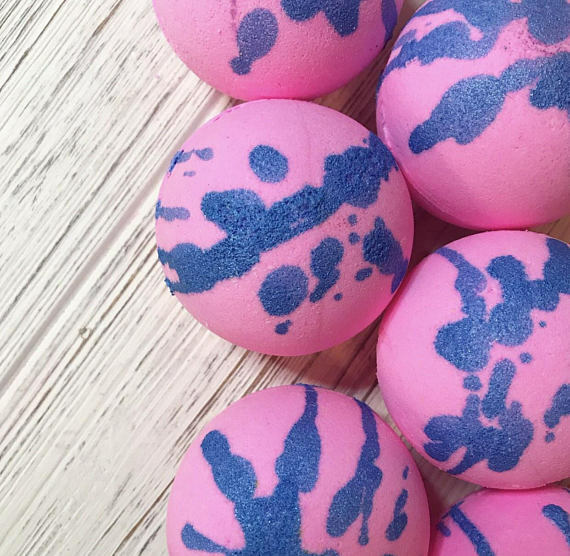 If you aren't the type to take long baths but would like to reap the benefits of these ingredients, try their fizzing shower bombs. 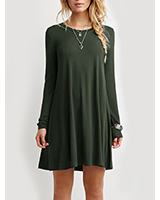 This next pick is somewhere I definitely need to shop! Plan Like A Boss Planners sells planners and workbooks to help makers and influencers clear the clutter and create an individualized step-by-step guide to their own success. Whether you plan to launch a new shop or start a blog, or if if you already have one and just need to get more organized with your social media, Plan Like A Boss is the way to go! Their 12-month planner contains weekly prompts, strategies to help you organize social media, an editorial calendar, and more. The workbook helps you to organize business goals; including how to find your ideal customer, email marketing, social media tips, etc. You can purchase the planner or workbook individually, but for my readers there is a special gift code. Use KCL30 for 30% OFF the 2018 Planner and Workbook Bundle! 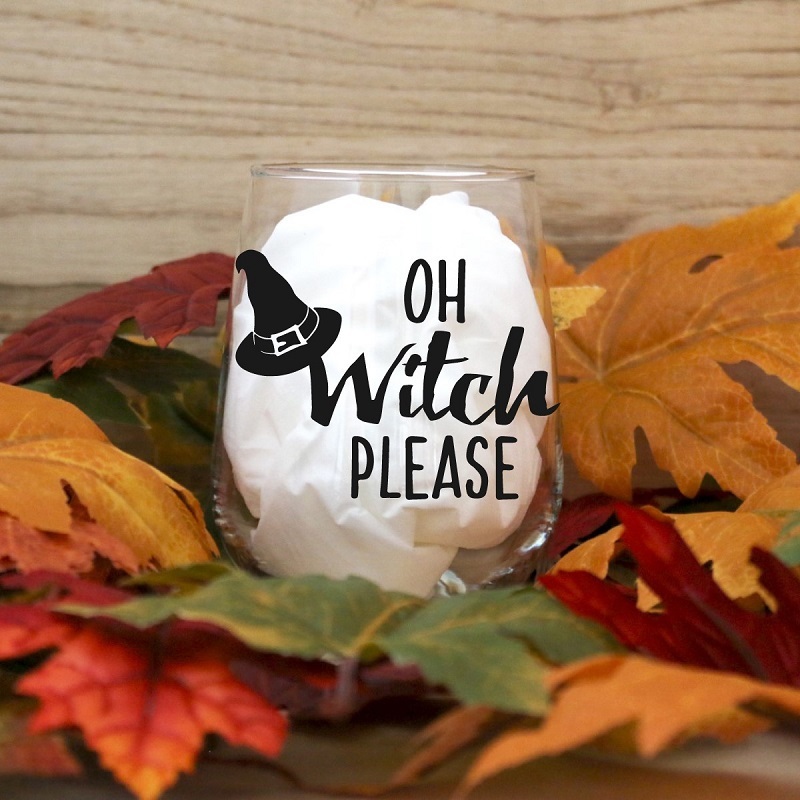 So many of you guys are shop owners and/or bloggers, so I know this is absolutely perfect for you! 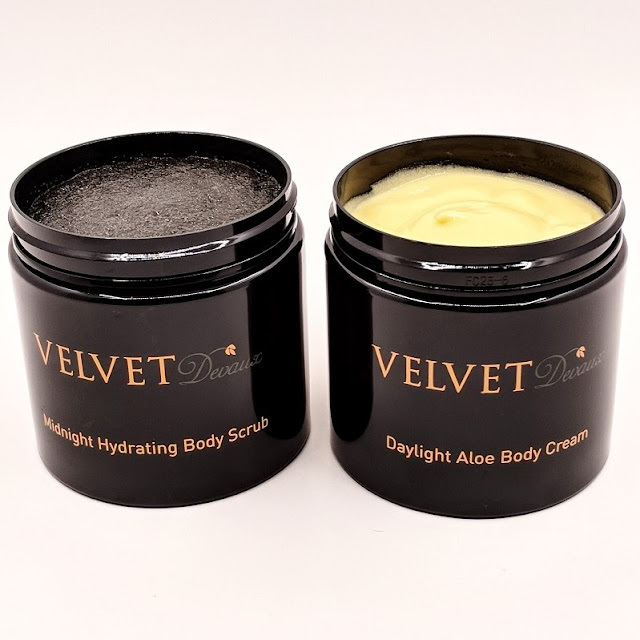 Last and certainly not least, Velvet Devaux is a luxury skincare line that carries hydrating body scrubs and creams. You can choose from single items or a combo, like the Day & Night Pack which contains a Hydrating Body Scrub and the Daylight Aloe Body Cream. With ingredients like aloe and Vitamin E, their products are bound to be so good for the skin. But aside from the quality ingredients, we have to talk about the fact that they have pink-colored products....pink!! The Rose` Collection includes both a hydrating scrub and a body cream that are not only beautiful but enriched with avocado oil and mango butter. 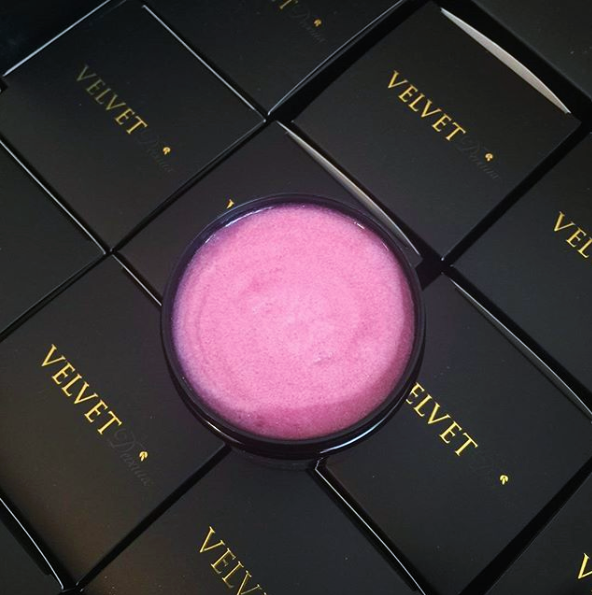 I'll be sampling some of the Velvet Devaux products this month, so check back to see them in the monthly Beauty Edit on KCL! In the meantime, enjoy their current sale of free shipping on any order of $35.00 or more. It's definitely a good time to stock up for Mother's Day and shop for yourself too! So there you have it, guys. These picks are sure to meet all of your retail therapy needs this weekend. Grab a cup of coffee and relax, and check out eat featured brand with the links below!